Learning how to sew can be one of the most difficult crafts to pick up on. Trust us, this isn’t as easy as some of us make it seem, and with so many complex aspects its fair to say that anyone needs a little guidance when they start. That’s why we have created this service, for you! We provide the only source of expert analysis, advice, and tips that you can use to enhance your sewing craft. We take beginner sewing to the next level here with the best sources for you to get started on your new and exciting hobby or career! 2.1 Still Have Some Questions? Even the most skilled seamstress or tailor is nothing without the top sewing machine to go with their talent. That is why we here at doyousew.com have done the research for you! That’s right! 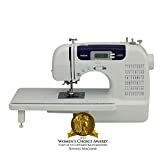 We have performed tests, received master class consultation, and collaborated together full reviews on all of the best quality sewing machines on the market. Each machine that is showcased on our website has been through our review process, and you can get full details on each one. 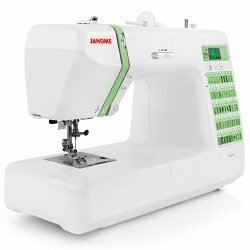 This will allow you to find the best sewing machine to fit your skills and needs. 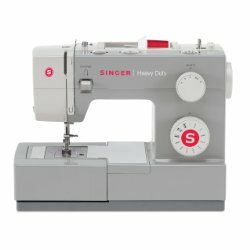 It’s time to find the best sewing machine and to make your first big step into sewing. Check out our product reviews page to get started! It can be the easiest way to get the most training in any area, online reading. Reading the right instructional articles have led to some of the greatest artists of modern time achieve their dreams. We realize that sometimes finding the right path and direction into something like sewing can be intimidating and you may be on the fence. 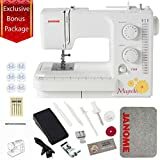 But after reading our advice, articles, and reviews that will assist you in discovering a sewing machine that fits you and your goals perfectly. It will help to have some resource to read to give you a little more in depth reading to reference. Check out these great tips and how to articles that we have written for every beginner in sewing. 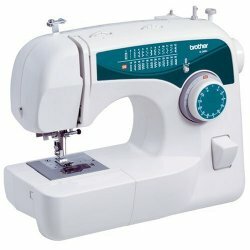 This sewing machine was engineered and designed to be the most complete-user friendly machine out there. 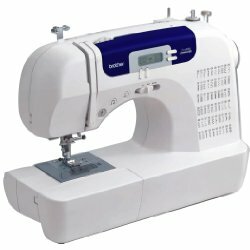 This sewing machine comes with 60 built in stitch patterns that consist of various decorative stitch styles. 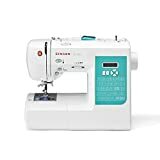 An LCD digital display is the best in modern sewing machine technology and will give you the abilities to choose one of the many functions with a one-touch function. 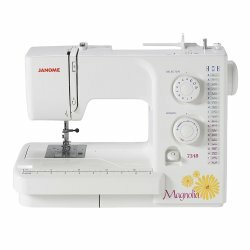 A great sewing machine for the most basic sewing projects, and comes with a 4-inch embroidery attachment. Along with that this digital machine will come with 70 embroidery designs already installed into the machine with a USB connection for thousands of downloads to design. Not just that but this machine will come with 67 built in variations for regular sewing stiches and 5 different lettering fonts. 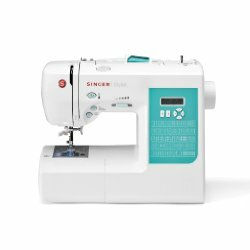 Equipped with “SwiftSmart” thread system that will automatically thread the needle for you and adjusts your stitches length and width for a smooth flowing sew. 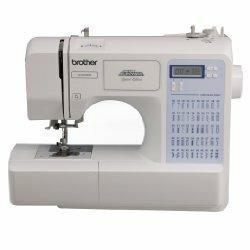 With the free arm feature this machine is perfect for performing collars, hems, and cuffs for high-end fashion stitches. With a frame of metal and a stainless steel bedplate this machine by Singer is one of the most durable you will find. A machine made for the most tough fabrics and materials, with features that will assist you in making the most full-proof stitches possible. 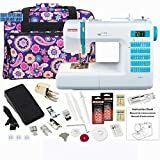 If you looking to take your sewing to the next level, this machine is the next step you must take! Comes with a 100 stitch collection and automatic needle threader to make setting thread and stitches a breeze. The top in bobbin system cuts out the time of setting up your bobbin winding system, which every experienced seamstress or tailor knows, is one the most time consuming tasks. Also included is a instruction DVD that will run you through the basic settings of the machines along with the presser foot tutorial. 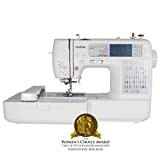 A high performance sewing machine with features that will enhance your sewing ability, coming with 185 stitching patterns to choose from, 15 alphanumeric stitches, and a 33% larger workspace then the average sewing machine. This machine can handle some of the biggest projects you have in mind. With a variable speed control foot presser and a one-step buttonhole style selector this machine will work—for you. 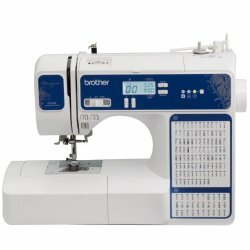 Read the full Brother Designio DZ2400 review here. One of the more technologically advanced machines you can find. 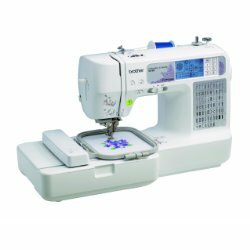 This machine by Janome comes with 50 different stitch patterns, 3 buttonhole styles, and an LED screen to select any of these incredible features with ease and accuracy. With a foot petal that gives you complete speed control and a total of 15 different needle positions this machine will give you the professional results you have been wanting. This model is based off the hit tv show, “Project Runaway” and is a great fit for any one who is looking to get started, or even for someone who has been sewing for years. 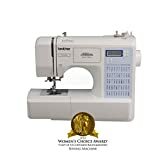 Giving you one of the most versatile sewing machines you will find. Don’t let the name fool you. This machine is advanced in features and operation but can be used by any beginner. Coming with a simple to use drop in load auto bobbin winding system, and a free arm function, this machine can do it all. 25 pre-loaded stitch patters come in a wide variety, from your basic stitching needs to a decorative heirloom stitch. With a bi-lingual instruction manual that will walk you through step-by-step for general set up and how-to operate its various features. This machine can be defined as just “simple”. 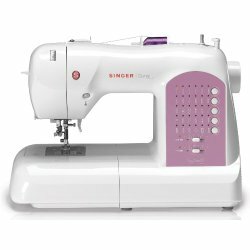 Which is what makes it perfect for beginners, this machine has some great features including 18 stitch patterns to choose from, a 4 step buttonhole foot petal with a balance adjuster, and a jam-proof bobbin system. All controlled by dials on the side instead of a digital screen give you a still simple to use machine, that won’t overwhelm those of us who aren’t quite familiar with electronics yet. This is very common when you first start out in sewing, and we know that there are a lot of questions to be raised. Just know that as large as this may seem to you, you can do this! If you have gone through all our material and your still having a hard time with something, please head to our Frequently Asked Questions section where you will find answers to some of the most common sew machine questions and answers. We encourage our visitors and users to stay active here at DoYouSew. Some of the best ways to learn how to do something as unique and complicated as sewing is to discuss it with your peers and fellow seamstress/tailors. This way you can find people just like you, who may have ran into the same problem and found a solution. Or someone may be able to direct you to the right place here at DoYouSew.com. Even if you just want to talk SEWING, start a discussion below we would love to see this become a community of helpful and knowledgeable members. So please feel free to share our content, refer us to a friend who needs help, and to discuss anything you please about sewing below!